and launch into authentic and purposeful living. 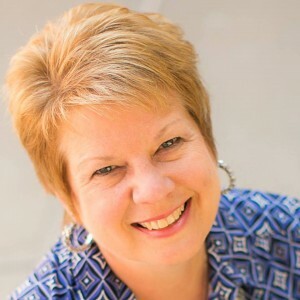 Lori Hommer has been established as a Biblical mentor and Christian Counselor since 2002. I’ve helped hundreds of people heal from past wounds and forge ahead to cultivate a fresh beginning. I’m a seasoned guide along your journey. I’ve known heartbreak, brokenness, and sin in my personal life. I’ve also experienced the incredible beauty God can bring from a wounded past. I’m transparently imperfect and unapologetically living out my faith in Jesus Christ. I encourage, challenge, and push for authentic breakthrough and sustained life change in Christ. Mygoal is to launch you into wholehearted living. Everyone has a unique story to tell, hurts that need healing, and obstacles to overcome. Your story is your living testimony, a reflection of God’s redemption and your unique imprint on the world. It’s yours to cultivate and nourish. Sometimes you need help navigating through the difficult twists and turns of our journey. Your journey consists of much more than a list of do’s and don’ts. You need permission to be imperfect more than you need advice. You don’t need to be “fixed”. You need to be launched into authentic living. You have an enemy who wants to rob us of your joy and keep you from all God intends for you. Personal and spiritual growth takes longer than people think, can be harder than anticipated, and is often more painful than we think we can stand. Sometimes it may feel like surgery without anesthesia. But, the outcome is richer than we imagined, lovelier than we dreamed, and more life giving than we believed possible. There isn’t quite anything like the gift of hope given through another person’s story. We all have to make choices based on our season of life. Give yourself permission to not have it all, do it all, or know it all. Do what is at your feet to do with all the love you can. Don’t sweat the rest. No one grows/learns in exactly the same way. What may work for some, may not work for you. Although you have permission to be where you are, God challenges you to grow and flourish in order to experience the very best He has. You need people in your life who challenge you to be fully engaged in your story.